Our service is competitively priced, fast, safe and reliable.We guarantee a service that is second to none. Whatever your building project we are pleased to offer a FREE , no obligation quotation. Our experienced staff will be happy to advise you on your project ensuring a secure working environment at the same time meeting the regulations regarding safe scaffolding construction. Under normal circumstances an on site inspection by our agent may be necessary which can be easily arranged. 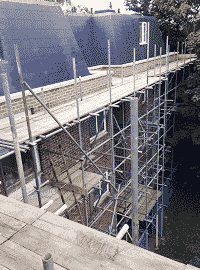 DMS Scaffolding generally operate within the Home Counties, Surrey and London. However, if you have specific needs outside this area, we would be pleased to discuss your project.